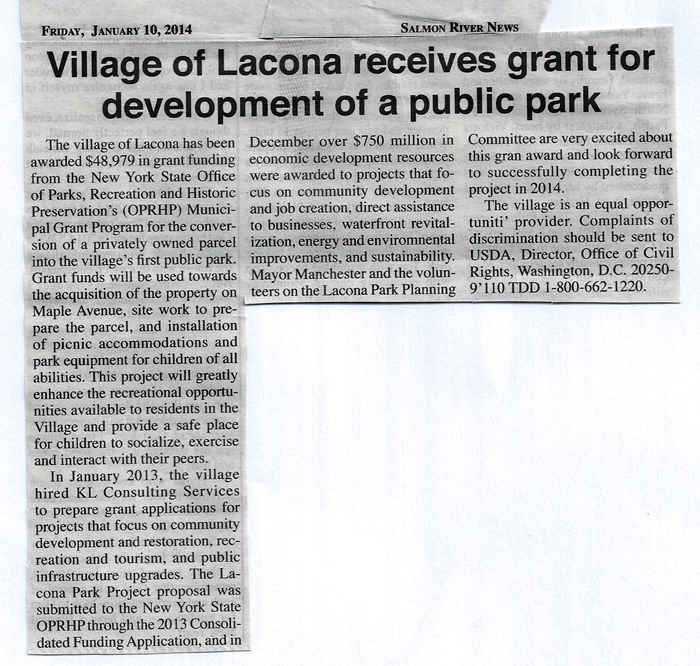 The Village of Lacona celebrates 136 years in 2016. A Lacona History book was written in 2005. Lacona Volunteer Fire Department is 131 years old in 2016 and a power point presentation celebrating their history will be shown at the April banquet. LACONA: A village: (pop. 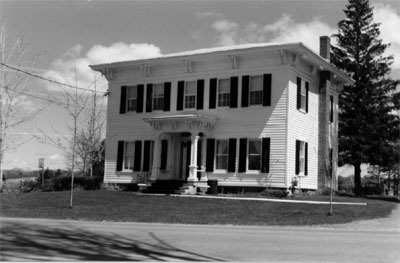 593) Town of Sandy Creek, Oswego County. The Lacona Depot was restored and is the home of the offices of the Village of Sandy Creek and Village of Lacona. ...the Watertown and Rome Railroad...was opened through Sandy Creek and as far as Pierrepont Manor in May 1851. It ran about three-fourths of a mile east of Sandy Creek village; consequently the idea soon arose of building another village around the depot. After a few houses had been erected the question of a name came up, and the very convient and euphonious one of Lacona was adopted. In 1880, Lacona Village was incorporated and grew as a result of the railroad. The present depot was constructed in 1891 by New York Central and Hudson River Railroad. New York Central later became the Penn Central Railroad System. Thee village goals for the depot include saving an important site from decay, to display historical documents and artifacts concerning the railroad, and house the offices of both villages.